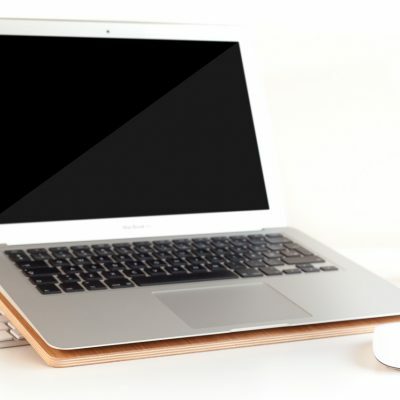 Wooden MacBook Desk designed & made to perfection from sustainable resources in Denmark. 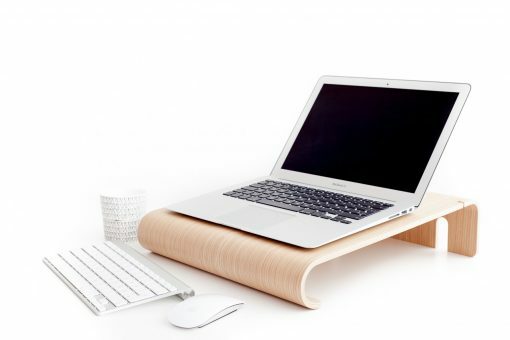 The MacBook Wall Desk is meant as the home of your MacBook or laptop. 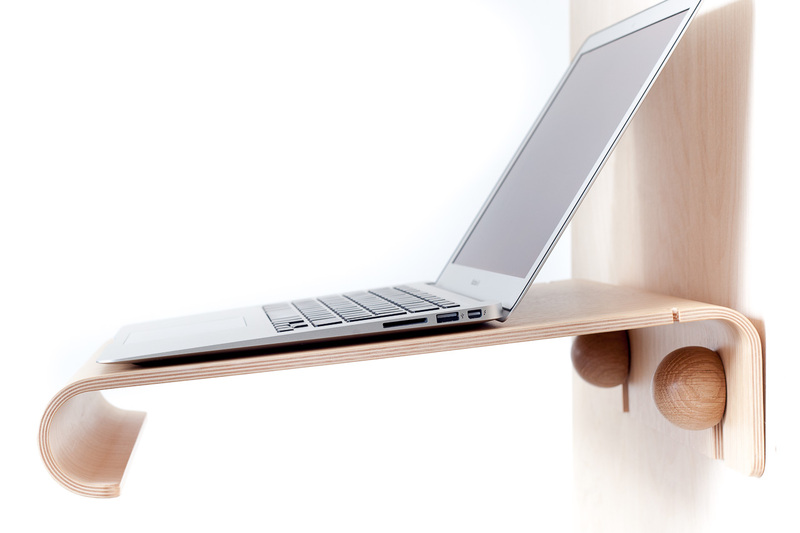 The shelf is attached to the wall with two small wooden knobs. 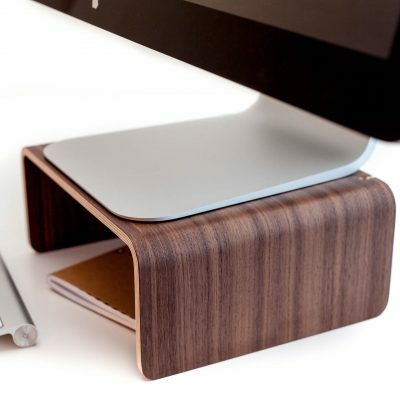 When the shelf is attached on the wall it’s the perfect place to charge it, write email, lyrics and look up recipes. When you need to rest you legs you can simply detach the wall desk and take it with you to the sofa or rest it on at a table. The wall desk is the perfect office furniture and an ergonomic aid because you can hang the shelf in the perfect height and also move it around. Used on a desk the wall desk will raise the monitor and together with a keyboard and mouse you have an comfortable workspace. After work you can simply store you accessories under the shelf to tidy up! On both sides of the shelf you will find cable drops that will hang on to cables so they don’t fall on the floor. 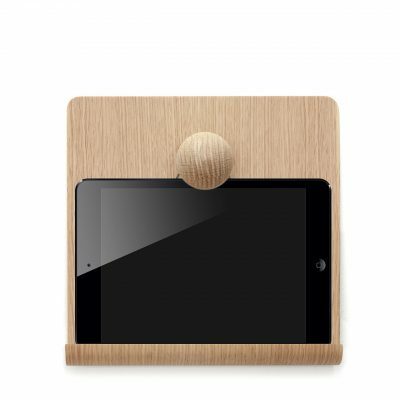 You can choose stand in oak and walnut including two knobs and crews for mounting on the wall. 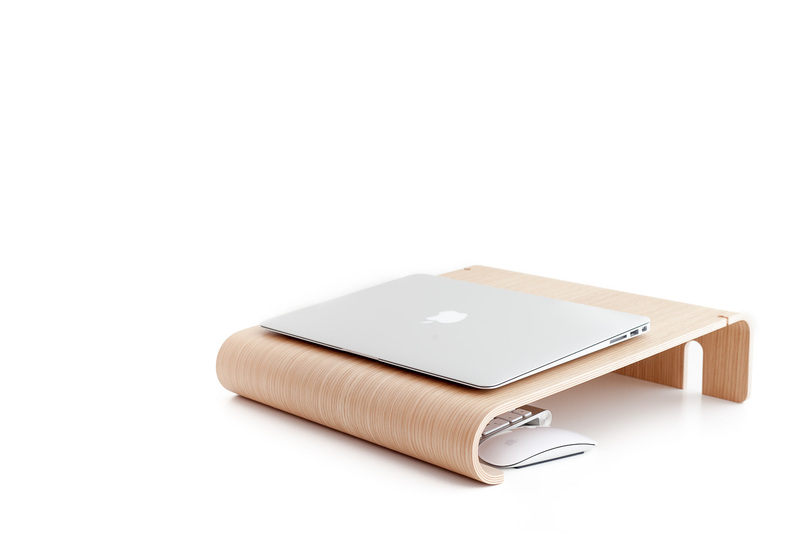 The MacBook Wall Desk is made in Denmark from sustainably forested wood.